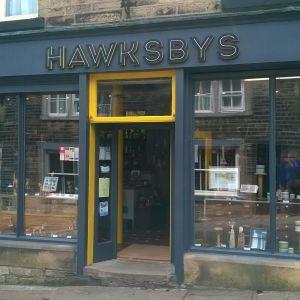 Hawksbys01535 647446work ShopStep into our Gallery of delights to discover a cornucopia of delightful goodies. Each item has been lovingly hand selected to bring you quirky, unique and beautiful things. Perfect reminders of your visit to Haworth and gorgeous new treasures for your home. Step into our Gallery of delights to discover a cornucopia of delightful goodies. Each item has been lovingly hand selected to bring you quirky, unique and beautiful things. Perfect reminders of your visit to Haworth and gorgeous new treasures for your home. Located at the top of Haworth's cobbled Main Street, opposite the Black Bull Public House.